Barb Gross recommends "There There"
This is Barb Gross with the Sioux City Public Library and you’re listening to Check it Out. 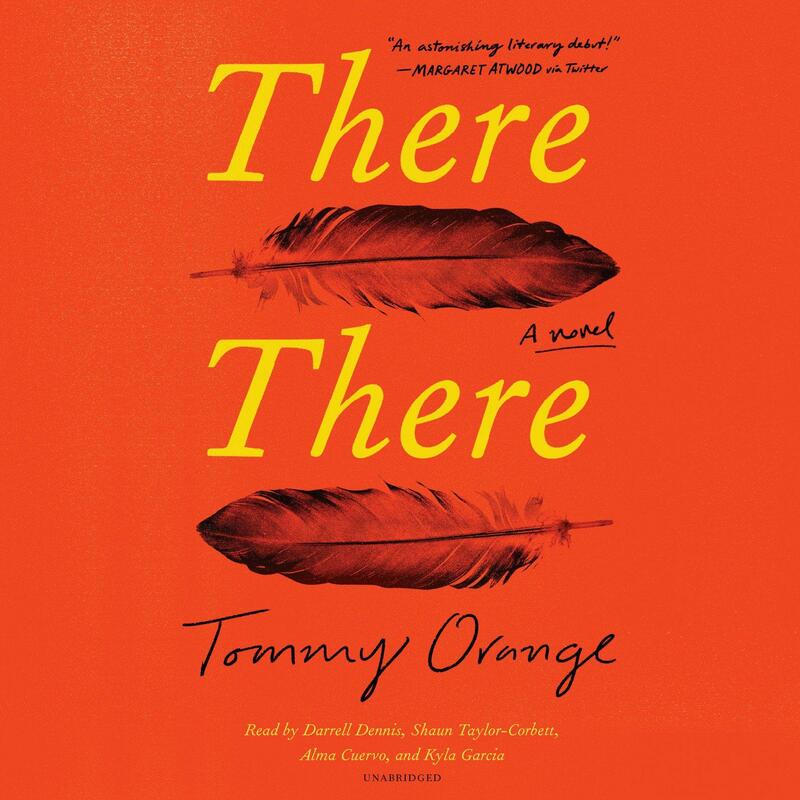 Today I’m recommending “There There,” a vivid and moving debut novel by Tommy Orange. It was included in best-of-2018 fiction lists from the New York Times, NPR, and Publisher’s Weekly, to mention a few. “There There” is about Native Americans living in Oakland, California, what Orange calls “Urban Indians.” The author takes the individual stories of twelve characters and braids them, over and under each other, until all of the loose ends come together at the Big Oakland Powwow. Tony Loneman starts off the book with a candid discussion of his fetal alcohol syndrome. He calls it “the Drome.” Orvil Red Feather, a teenager, teaches himself Indian dances by watching YouTube videos so he can perform at the powwow. Edwin is in his thirties, still living with his white mother, and he’s never met his Native father. He will at the powwow. The most central characters in the book are Opal Bear Shield and her sister Jacquie Red Feather. As teenagers their mother takes them to the historic occupation of Alcatraz. There Jacquie becomes pregnant, eventually giving up her daughter for adoption. Jacquie later works as a substance abuse counselor struggling with her own addiction. She’s at a professional conference, only ten days sober, and she wants a drink. It’s one of the most powerful scenes in the book, and should be required reading for anyone who ponders the power of addiction. Orange quotes James Baldwin in an epigraph: “People are trapped in history and history is trapped in them.” It’s true for all of the characters in the book. Perhaps Orange is describing the challenges faced not only by Native Americans, but also by America itself. “There There” is our book club selection for March, so be sure to check it out now and join us March 4 for a lively discussion. “There There,” by Tommy Orange. Check out this title and other great works of fiction at the Sioux City Public Library. Want more? Subscribe to The First Fifty Pages, our podcast about books, library culture, and current reading trends. Available on iTunes, Stitcher, and Google Play. I have to admit that I don’t often read romance novels. Maybe this is because the one thing that all romances have in common is that there is always a happy ending, and maybe I’m too much of a skeptic. But today, I am recommending Katherine Center’s latest novel, How to Walk Away—a book that shows us that there are all kinds of happy endings. What would you do if you were married to a potential killer? In Fiona Barton’s debut novel, The Widow, she tackles this exact question. Before his demise, Glen was the number one suspect in the abduction and potential murder of two-year-old Bella Elliott, who was kidnapped from her front lawn –years ago, much to the dismay and heartbreak of her mother. If you saw Dustin Arbuckle recently in either of his two stops at Vangarde Arts with either of his bands; well, he's on the show. Plus we have a new album from Big Joe and the Dynaflows. John Mayall too has put together a really nice new album too called Nobody Told Me. We're letting you know that you can hear a bit of that toward the end of this podcast. What places a book on a best of list? Are those lucky few that rank on The New York Times or Amazon the books that people are actually reading? Does that matter? The Sioux City Public Library's Kelsey and Jenn review the best "Best Of" lists and look at what was actually checked out at the library in 2018.